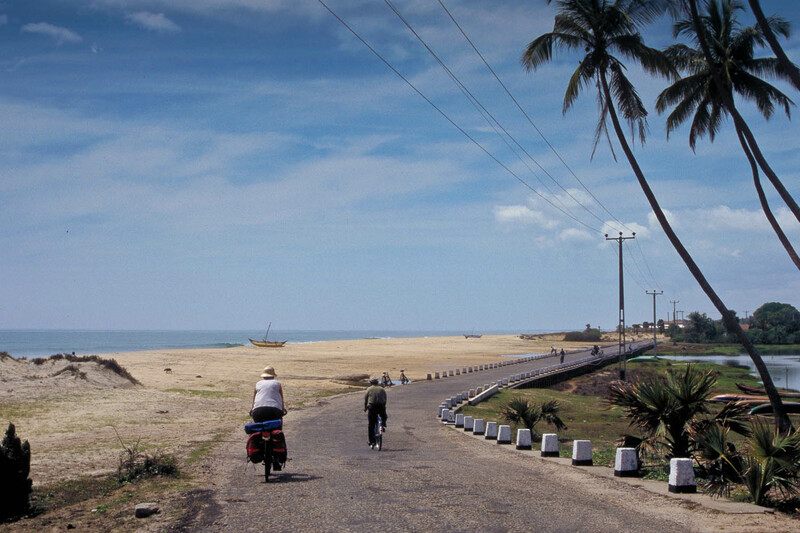 In september and october 2004, just a few weeks before the devastating tsunami, we cycled around Sri Lanka. We started in Negombo and traveled clock-wise around the island for 1200 kilometres. This trip included highlights like Anuradhapura, the rock of Sigiriya, temple complex of Polonnaruwa, the west coast (where the Tamil Tigers were not yet defeated), the beautiful coast of Arugam Bay and Ella Gap.